Does anyone know where I can find the other chapters? Time: Maybe 4 to 6 hours? Browse Shigeki Maeshima Gallery: Recent | Popular. I like it a lot! The shades of blue are beautiful and the whole wall fits together very nicely! A fave for me! You really choose interesting scans and such scans you make in more wonderful way, vector is so clean and neat, great work in all! Wow this is beautiful O.O..... +fav of course! I actually like the slaughter d: I wish there were some shades in her hair thou. love your wall lady Kritty- i give major props for using that scan. easily one of the most difficult i have seen. lovely vectoring- btw.. i just have one crit: i think showing less of her hair & more of her body to the left there would have been ideal. if it did it would warrant a highlight in my humble opinion. Dragonfly Volume 1 is available. it comprises the first 5 volumes of Robot series. unfortunately or fortunately it depends on your viewpoint i suppose; i was unable to upload many scans since the artwork was sexual in nature. a few links as a token of my appreciation for your wall. Love the wallpaper, like everyone has said, a very interesting scan to use. You've done a wonderful job! I loved it *O*! 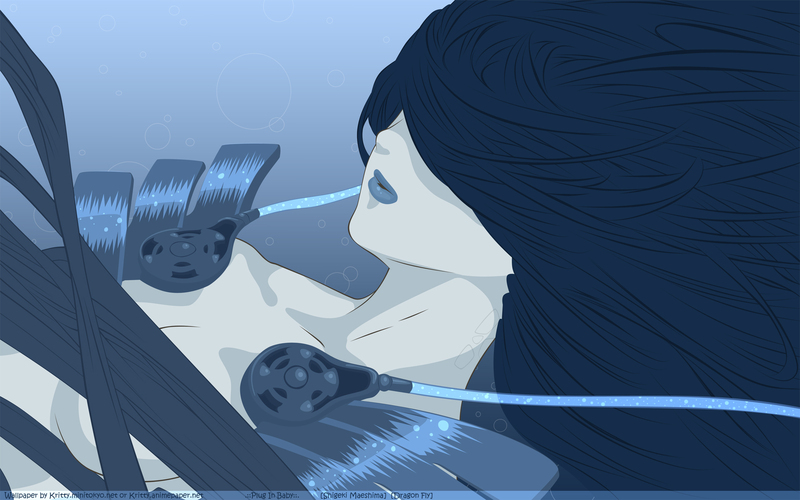 Only that I didn't know that she was underwater 'til I read trofikabinet comment XD;; (yesh I've not yet read your comment D; about it) maybe it was the location of the bubbles o:?